Normal cilia (A) and cilia representative of Kartagener's syndrome (B). Primary ciliary dyskinesia (PCD), also immotile ciliary syndrome or Kartagener syndrome, is a rare, ciliopathic, autosomal recessive genetic disorder that causes defects in the action of cilia lining the respiratory tract (lower and upper, sinuses, Eustachian tube, middle ear) and fallopian tube, as well as in the flagella of sperm cells. Respiratory mucociliary clearance, with subsequent upper and lower respiratory infection. Cilia also are involved in other biological processes (such as nitric oxide production), which are currently the subject of dozens of research efforts. As the functions of cilia become better understood, the understanding of PCD should be expected to advance. Axial CT image showing situs inversus. The liver is normally on the right side of the body and the spleen on the left, they are switched in this patient with situs inversus. 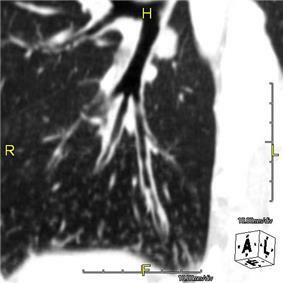 Axial CT image showing dextrocardia with the IVC and morphologic right ventricle on the left and the left ventricle on the right. 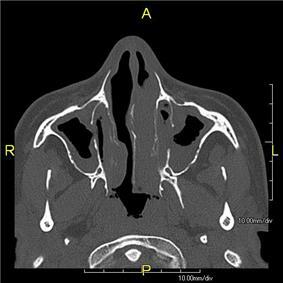 When accompanied by the combination of chronic sinusitis, and bronchiectasis, it is known as Kartagener syndrome (only 50% of primary ciliary dyskinesia cases include situs inversus). The phrase "immotile ciliary syndrome" is no longer favored as the cilia do have movement, but may be inefficient or unsychronized. Sagittal CT image showing "tree in bud" appearance of mucous impaction in distal small airways related to primary ciliary dyskinesia. 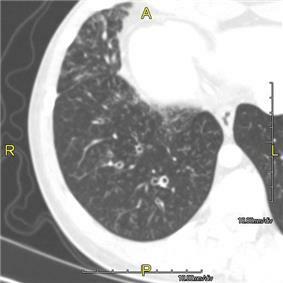 CT image showing dilated and thickened medium-sized airways (bronchiectasis)in a patient with Kartagener syndrome. Many affected individuals experience lung transplantation required in severe cases. Susceptibility to infections can be drastically reduced by an early diagnosis. Treatment with various chest physiotherapy techniques has been observed to reduce the incidence of lung infection and to slow the progression of bronchiectasis dramatically. Aggressive treatment of sinus disease beginning at an early age is believed to slow long-term sinus damage (although this has not yet been adequately documented). Aggressive measures to enhance clearance of mucus, prevent respiratory infections, and treat bacterial superinfections have been observed to slow lung-disease progression. Although the true incidence of the disease is unknown, it is estimated to be 1 in 32,000, although the actual incidence may be as high as 1 in 15,000. PCD is a genetically heterogeneous disorder affecting motile cilia which are made up of approximately 250 proteins. Around 90% of individuals with PCD have ultrastructural defects affecting protein(s) in the outer and/or inner dynein arms which give cilia their motility, with roughly 38% of these defects caused by mutations on two genes, DNAI1 and DNAH5, both of which code for proteins found in the ciliary outer dynein arm. There is an international effort to identify genes that code for inner dynein arm proteins or proteins from other ciliary structures (radial spokes, central apparatus, etc.) associated with PCD. The role of DNAH5 in heterotaxy syndromes and left-right asymmetry is also under investigation. This disease is genetically inherited. Structures that make up the cilia including inner and/or outer dynein arms, central apparatus, radial spokes, etc. are missing or dysfunctional and thus the axoneme structure lacks the ability to move. Axonemes are the elongated structures that make up cilia and flagella. Additionally, there may be chemical defects that interfere with ciliary function in the presence of adequate structure. Whatever the underlying cause, dysfunction of the cilia begins during and impacts the embryologic phase of development. Specialised monocilia are at the heart of this problem. They lack the central-pair microtubules of ordinary motile cilia and so rotate clockwise rather than beat; in the primitive knot at the anterior end of the primitive streak in the embryo, these are angled posteriorly such that they prescribe a D-shape rather than a circle. This has been shown to generate a net leftward flow in mouse and chick embryos, and sweeps the Sonic Hedgehog (Shh) protein to the left, triggering normal asymmetrical development. However, in some individuals with PCD, mutations thought to be in the gene coding for the key structural protein left-right situs solitus) nor totally reversed (situs inversus totalis) but is a hybrid of the two. 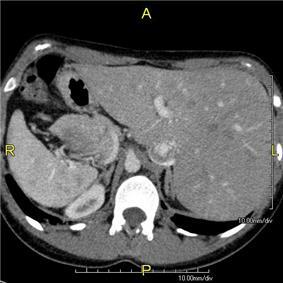 Splenic abnormalities such as polysplenia, asplenia and complex congenital heart defects are more common in individuals with situs ambiguus and PCD, as they are in all individuals with situs ambiguus. The genetic forces linking failure of nodal monocilia and situs issues and the relationship of those forces to PCD are the subject of intense research interest. For now hypotheses abound—some, like the one above, are generally accepted. However, knowledge in this area is constantly advancing. Recent findings in genetic research have suggested that a large number of genetic disorders, both genetic syndromes and genetic diseases, that were not previously identified in the medical literature as related, may be, in fact, highly related in the genetypical root cause of the widely varying, phenotypically-observed disorders. Thus, PCD is a ciliopathy. Other known ciliopathies include Bardet-Biedl syndrome, polycystic kidney and liver disease, nephronophthisis, Alstrom syndrome, Meckel-Gruber syndrome and some forms of retinal degeneration. The classic symptom combination associated with PCD was first described by A. K. Zivert in 1904, while Kartagener published his first report on the subject in 1933. ^ Coren, Me; Meeks, M; Morrison, I; Buchdahl, Rm; Bush, A (2002). "Primary ciliary dyskinesia: age at diagnosis and symptom history". Acta paediatrica (Oslo, Norway : 1992) 91 (6): 667–9. ^ "The oviductal cilia and Kartagener's syndrome, along with an increase in ectopic pregnancy.". Fertil Steril 46 (3): 412–6. Sep 1986. ^ Ceccaldi PF, Carre-Pigeon F, Youinou Y, Delepine B, Bryckaert PE, Harika G, Quereux C, Gaillard D. (2004). "Kartagener's syndrome and infertility: observation, diagnosis and treatment". J Gynecol Obstet Biol Reprod. (Paris) 33 (3): 192–4. ^ a b Chodhari, R; Mitchison, HM; Meeks, M (March 2004). "Cilia, primary ciliary dyskinesia and molecular genetics". Paediatric respiratory reviews 5 (1): 69–76. ^ GeneReviews. "Primary Ciliary Dyskinesia". Retrieved 2007-11-16. ^ a b Zariwala, MA; Knowles, MR; Omran, H (2007). "Genetic defects in ciliary structure and function". Annual review of physiology 69 (1): 423–50. ^ Cartwright, Jh; Piro, O; Tuval, I (May 2004). "Fluid-dynamical basis of the embryonic development of left-right asymmetry in vertebrates" (Free full text). Proceedings of the National Academy of Sciences of the United States of America 101 (19): 7234–9. ^ a b Nonaka, S; Yoshiba, S; Watanabe, D; Ikeuchi, S; Goto, T; Marshall, Wf; Hamada, H (August 2005). "De novo formation of left-right asymmetry by posterior tilt of nodal cilia" (Free full text). PLoS Biology 3 (8): e268. ^ Kennedy, Mp; Omran, H; Leigh, Mw; Dell, S; Morgan, L; Molina, Pl; Robinson, Bv; Minnix, Sl; Olbrich, H; Severin, T; Ahrens, P; Lange, L; Morillas, Hn; Noone, Pg; Zariwala, Ma; Knowles, Mr (June 2007). 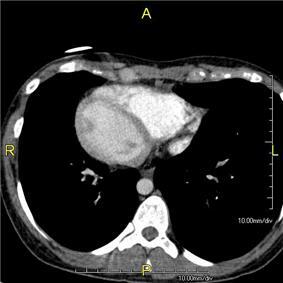 "Congenital heart disease and other heterotaxic defects in a large cohort of patients with primary ciliary dyskinesia" (Free full text). Circulation 115 (22): 2814–21. ^ Badano, Jose L.; Norimasa Mitsuma; Phil L. Beales; Nicholas Katsanis (September 2006). "The Ciliopathies : An Emerging Class of Human Genetic Disorders". Annual Review of Genomics and Human Genetics 7 (1): 125–148. ^ Zivert AK (1904). "Über einen Fall von Bronchiectasie bei einem Patienten mit situs inversus viscerum". Berliner klinische Wochenschrift. 41: 139–141. ^ Kartagener M (1933). 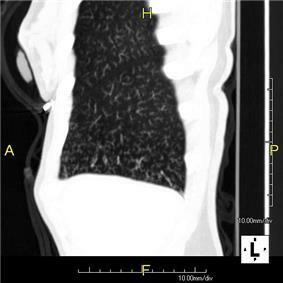 "Zur Pathogenese der Bronchiektasien: Bronchiektasien bei Situs viscerum inversus". Beiträge zur Klinik der Tuberkulose. 83 (4): 489–501.